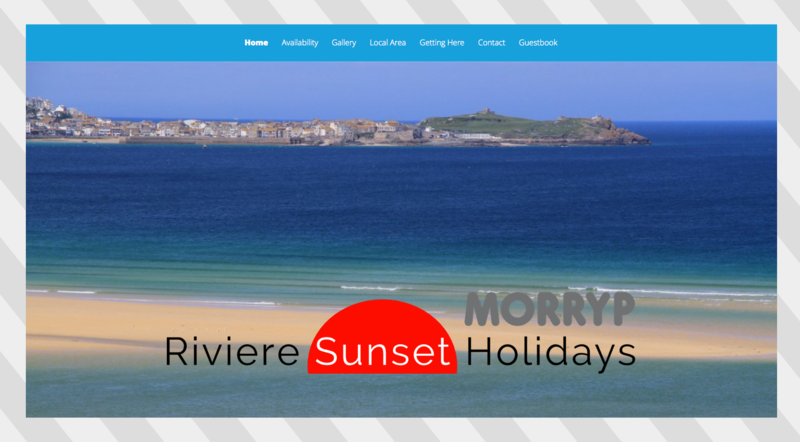 Luxury holiday let accommodation “Riviere Sunset Holidays – Morryp” situated on Hayle Towns in Cornwall, needed to upgrade there existing website with a more modern and user friendly web presence. The brief was to use the use the existing website content (words, photos etc) as much as possible but present it in a cleaner and up to date way. 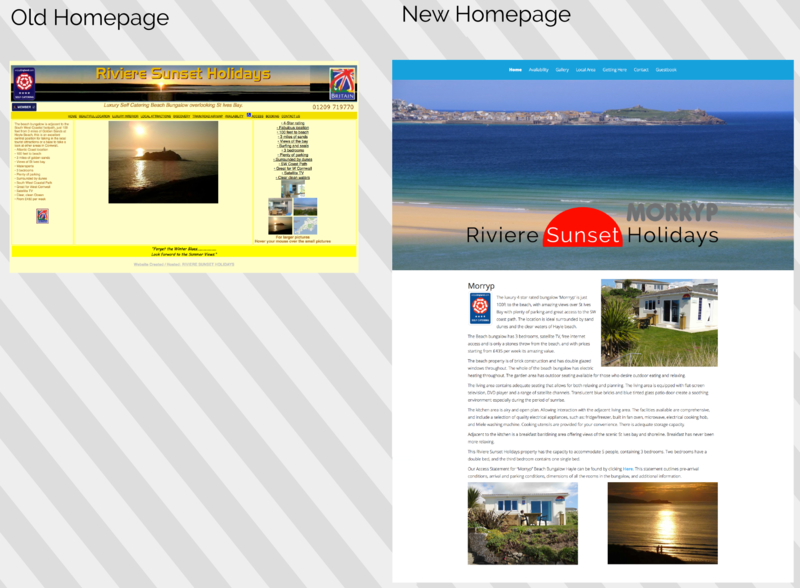 They were happy with the content on there existing website but not how it looked, as it was cluttered and not very easy to navigate. 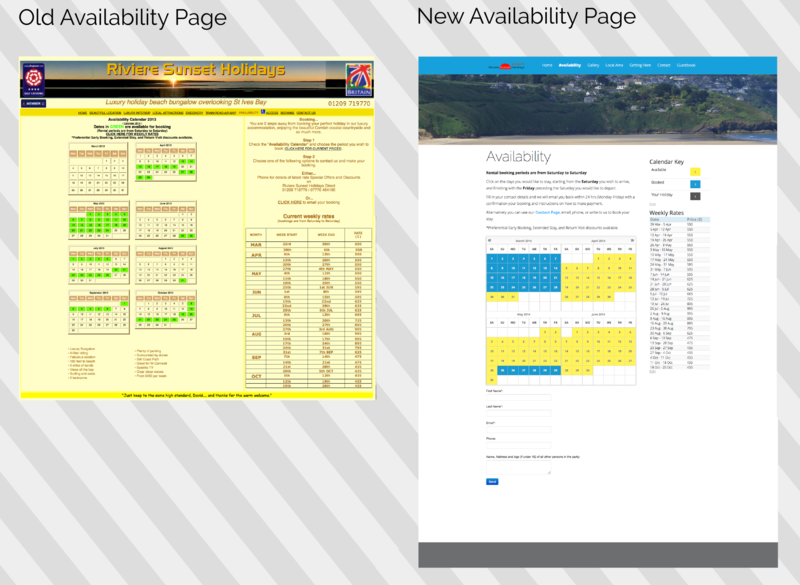 There existing booking form was very complicated for both the customer and themselves to manage, so we installed an easy to navigate calendar and also made updating the booking on the “back end” of the website as easy as possible. A new logo was made to compliment the name and ideals of the accommodation.